Our approach is supporting/coaching the runner and the individual. Some goals are time related, some are not - and we dig deep into finding the emotion behind that time/goal. When we know that, and coach to that... that's where the magic happens. Running and life are intertwined, and it's important to us to make sure that we help our athletes find that balance while striving for big things, and not forgetting to have some fun along the way. "I had purchased a customized training plan through Relentless Runners to train for my first marathon back postpartum in April 2017. About a month later, I met both Toni and Chrissy at the Buffalo Half where they ran out around mile 8 and pushed me for about a mile. They were SO super sweet plus their energy was contagious and I just knew right then and there that I had to join this team. Working with Toni has not only pushed me beyond my limits but it has made me a better, smarter runner and I am working towards goals I never even thought would be possible! Toni helped me train for 17 weeks leading up to Chicago and even though I didn't mean my big scary goal, I did hit a 15 minute PR which I am still so proud of. I am so thankful I have Toni in my corner; she's not only my coach but has become a close friend and someone who has given me the confidence and strength to keep running towards new goals. I just love being a part of the Relentless Runners team!" Athlete Update: Kristen has reached PR's in two distances since working with us! 20+ minutes off her marathon time w/a 4:05:24 AND 32 second PR in the half w/a 1:52:07! "I contacted Relentless Runners to inquire about coaching at a time when I felt like I had hit a plateau in my running. I was out there day after day putting in the miles in but not seeing improvements. I was also having a hard time juggling running and life. I started working with Christine half-way through November to begin training for two Spring half marathons. Christine created a personalized training plan that had a lot of variety, which helped keep everything manageable. It also helped me achieve a better running/life balance. Christine was patient with me and my schedule and tweaked things as needed. Since working with Christine I have been able to take 10 minutes off my half marathon time! Having a coach has given me the confidence I needed to get outside of my comfort zone to achieve my goals. It has reignited my passion for running and made me so excited of what I will be able to achieve in the future with her help. I cannot wait to start my next training cycle for my second marathon in July. I am so happy to be part of the relentless runners team, they are an amazing group of women that empower women to reach their goals!" Athlete Update: Laura went on to hit her goal and break 1:50 in the Half Marathon distance with a 1:47:51! "I didn't consider myself a "runner" until this training cycle. Coach Toni pushes me, challenges me, and cheers me on every step of the way! The best part - my plan is SO customized, and focused on my goals and lifestyle... this isn't just a one-size-fits-all approach. So grateful for her guidance on this journey!" Athlete Update: Liz got a 5 minute PR in the 10 mile distance with a 1:40:18! “After battling breast cancer and multiple reconstruction surgeries, I was finally ready to take back my life and become the runner I always knew I was capable of being. I knew I wanted to sign up with a running coach, but it was the matter of finding the right one. After Google searches and Instagram stalking, I found Relentless Runners. From the first conversation I had with Christine, I knew right away she was exactly the type of running coach I needed to get back into running after everything I have been through. She has been amazing to work with. The totally individualized plans, have allowed me to enter back into running at my own pace. I really look forward to my monthly calls with Christine to go over my progress, how I am feeling, my paces, and any tips she has for me. It is SO helpful and has made me feel so comfortable getting back into running. Athlete Update: Since this testimonial was written, Samantha also finished her first Full Marathon! "After being injured for several months I was finally able to start running again back in December. I knew it was time to start chasing my goals once more. I was able to start training, but I didn’t want to go after it alone. Before I even committed to another marathon/signed up for one I contacted Toni because I knew I wanted her to be my coach. I saw what her athletes were accomplishing, and I knew that she would help me get to where I need to be. Toni’s training has pushed me out of my comfort zone. I’m doing workouts I’ve never done before, nor would I ever do on my own. Thought it I have found my strength, my speed, and my endurance. I never thought I would be running the times/splits I am, yet – here I am, surpassing what I ever thought I was capable of. It’s an incredible feeling when you have a team of people behind you, who believe in you and what you are capable of. I wouldn’t be running the times I am if It wasn’t for Toni’s help, motivation, and support. She has truly helped me every step of the way and I am forever grateful for it. She taught me the importance for balancing runs and how every run and pace has a reason. Her encouragement, passion, and positivity throughout the whole training is contagious-even when you face difficult workouts she is always there to remind you that you are capable. Having people who believe in you, push you, and inspire you, are the best people to surround yourself with- and that’s what I’ve been able to do with RR’s help. Forever thankful for everything I have gained throughout this journey." Athlete Update: Shannon snagged a 15 minute Half Marathon PR of 1:44:07 & 1st Place Age Group Finish! 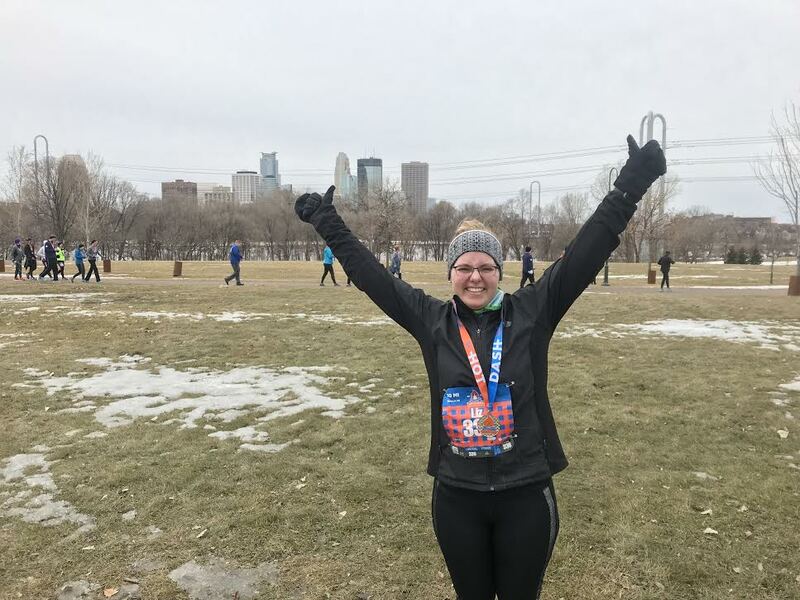 "After I had my daughter back in Sept I knew that getting back into running postpartum was going to be challenging but I had goals that I wanted to check off my list. After watching Shalane Flanagan win the NYC marathon I decided to sign up for my first marathon and conquer the ultimate distance...but knew I would need help to achieve this goal. I had been following both Christine and Toni on Instagram for quite some time and knew of Relentless Runners. After talking to Toni on the phone I knew this was going to be the perfect team for me and after my first chat with Christine I knew she was exactly the coach I had been hoping to find! She helped me train for my first postpartum half marathon in May and was very supportive and understanding of all the struggles I was facing as a new mom, because she had been through them herself. She provided the emotional support that i needed during that time. She provided challenging workouts and taught me how to do more than just go out for a run. She also understands that being a coach means more than just providing workouts for your athletes but support and encouragement and is always there to talk when I needed that emotional piece. She became more than just a coach but a friend helping me to achieve my goal of crossing that half marathon less than a year postpartum. I am very much looking forward to working with her as I train for my upcoming marathon." Athlete Update: Janine went on to finish her first full marathon in October at the Chicago Marathon! “From the time I hung up my discovery call with Christine last spring, I was pretty certain that Relentless Runners would be a good fit for me. Having one full marathon under my belt, I wanted to find a coach that would bring my training to the next level, while also taking into consideration the busy non-running schedule I had in the summer ahead. Over the past 4.5 months of being on the RR team, there were a number of times I knew that I made the right decision. She was literally only a text away if I had a quick question about an upcoming workout, and was always there to hear about my victories and challenges throughout training. Even when Christine took some time off to be with her growing family, Toni made it a point to let me know she was also there if I needed anything.